I checked into my hotel a couple of hours ago, relaxed for a bit, trusted the GPS to find the church (FAIL), actually looked up the address, and arrived unscathed. 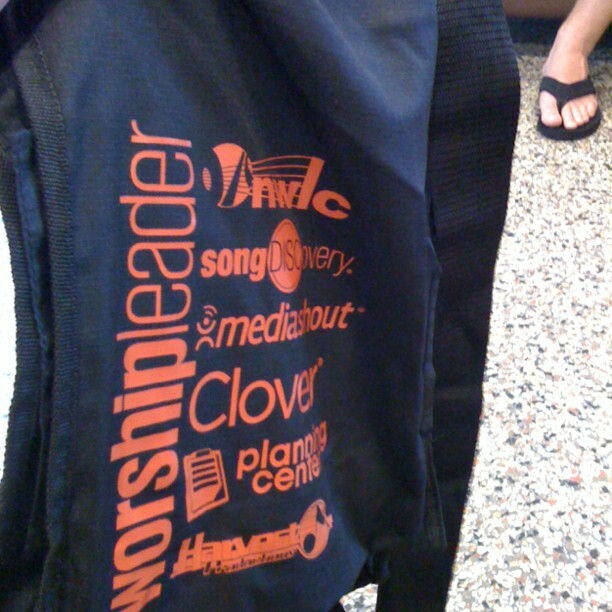 I checked out the vendor area, only to discover that I already use or have used a number of their services – Clover, Planning Center, MediaShout, and, of course, Worship Leader magazine. I have no idea what to expect this week. Leading up to my decision to come here, I checked out the word of mouth online, which was positive. There are a number of workshop opportunities, performances, and opportunities to meet people (I met two other attenders on my FLOOR at the hotel). submit to His work in me.